The exclusivity and care for details characterized the wedding celebrated last Friday (August 15th) in the estate of Son Mir, along with the renowned cooking style from Marc Fosh Catering, under the management of Kevin Becker and the coordination of Fabrizio Giunta. A wedding that the estate of Son Mir had the privilege to organize for a very special couple. 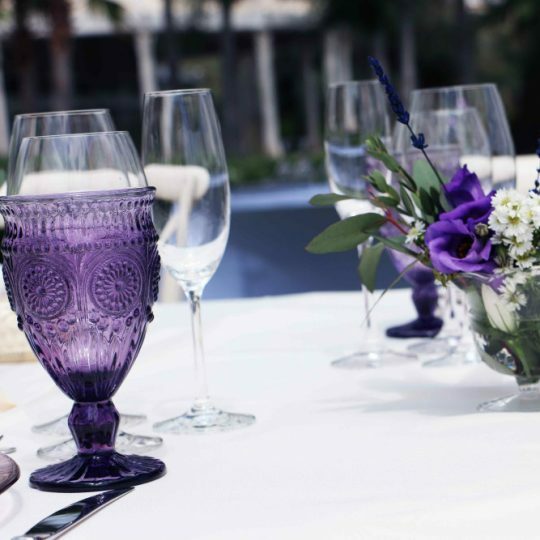 Son Mir’s historical tradition, within the framework of Majorcan estates, welcomed the elegance and passion for the tastes of Marc Fosh Catering, in order to make this celebration (marked by the secrecy demanded by the couple) exceed the expectations of the newlyweds and their guests. Marc Fosh Catering works with the best raw materials and the best professionals, along with the American Kevin Becker at the front of the kitchen. A Mediterranean gastronomy, with fresh and premium quality ingredients, with a current and custom-made touch according to the tastes and necessities of the couple. A selection of gastronomical products that has counted on our own team of waiters and cooks. A very special day coordinated by Fabrizio Giunta so everything worked like a perfect machine along with a custom-made assembly and decoration service. We have the best providers of flowers, chairs, ornaments and linens, according to the demand and fashion design of the couple. A wedding we have been delighted to witness, and where we trusted all our eagerness in offering the brand mark of our chef, Marc Fosh. After some cold winter months, <strong>spring </strong>has finally arrived.